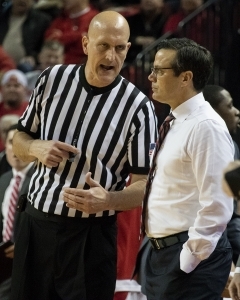 “I hope and pray to God that this is rock bottom,” a dejected Tim Miles said after his team was handed a 75-60 loss to the Maryland Terrapins. In the midst of a six game slide and with eight league games still left to go, the Husker’s season is beginning to resemble a funeral procession. Although his teammates played poorly, Roby earned himself a double-double, scoring 20 points and grabbing 14 rebounds. However, the offense was largely stagnant. The numbers speak for themselves. (Photo – Kenny Larabee) Nebraska forward Tanner Borchardt draws a charge from Maryland forward Jalen Smith during the second half of Wednesday night’s game. Glynn Watson Jr. went 0-10 from the floor. As a collective unit, Nebraska shot a season low 21% in field goals. James Palmer Jr. was 2-13. Nana Akenten went 1-4 and Thomas Allen was 2-6. To close out the first half, the Huskers only made one field goal in the last 11 minutes and 41 seconds. The Terrapins headed into the locker room at halftime holding on to a 28-20 lead. The game came to a head though in the second half. 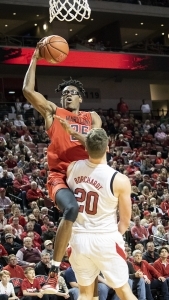 With the Maryland up 38-30, Terrapins forward Bruno Fernando sent Tanner Borchardt down to the hardwood after aggressively backing him down on his way to the rim. 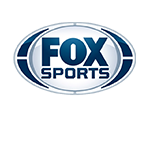 The referees determined Borchardt had flopped, allowing Fernando to slam the ball through the hoop with a powerful jam. Fernando then proceeded to step over Borchardt, who was sprawled out on the court. An outraged Miles proceeded to draw a technical, walking out onto the court to confront a referee with his arms shot straight up in protest. Miles offered no comment on the situation in the post game interviews. The referees had left the arena by the time a request for comment was made. It was certainly the flashpoint in the game, but the Huskers were unable to rise to the occasion. Nebraska remained cold offensively and the game petered out, with Maryland securing the easy victory. 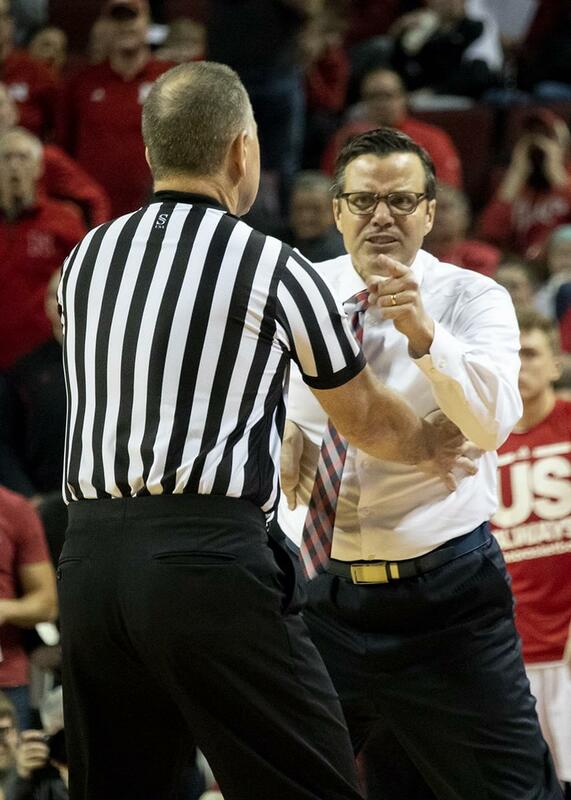 This was supposed to be the season that Nebraska would finally get that vaunted NCAA Tournament win. Now, the Husker’s season sits in ashes.